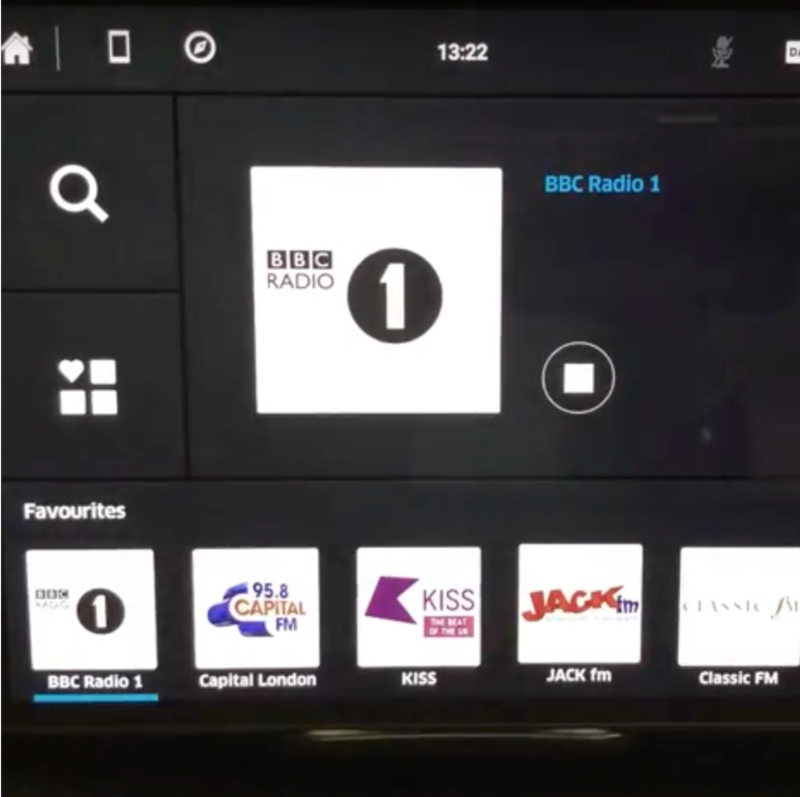 The British commercial-public broadcaster partnership Radioplayer has unveiled a prototype touchscreen radio for dashboards, designed to show how smart ‘hybrid’ technology can transform in-car listening. The hybrid prototype is able to play DAB digital radio, FM, and Internet radio streams providing operators with a single list of stations across all those platforms, which is different to existing radios where users need to know which platform – for example FM, Digital or AM – the station is available on. In this case the driver just taps a station logo to play it, and the system does the rest. Radioplayer explains that safety is a key factor in the design, reducing driver distraction with an easy, intuitive interface. A large display shows what’s playing, and the driver switches between favourite stations by tapping a logo, swiping the screen, or pressing the buttons on the steering wheel. In the next phase of development, voice control will be tested, along with podcasts and personalisation.